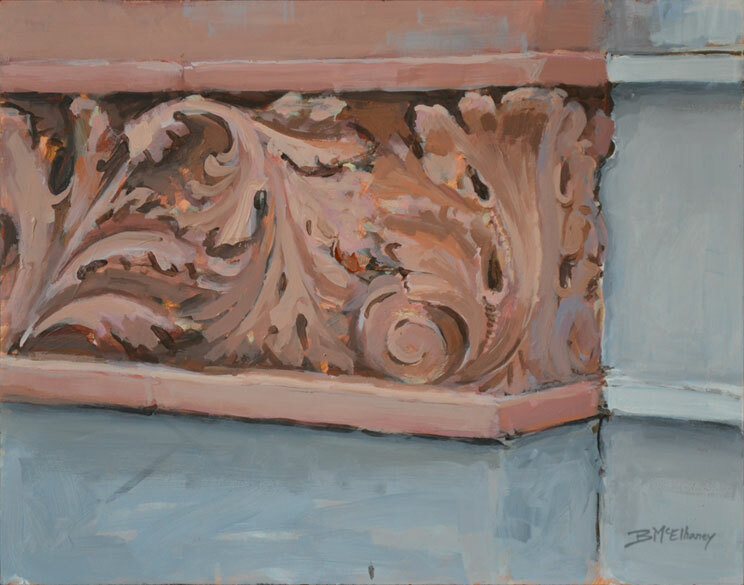 This painting is part of the Charleston Sketchbook series. 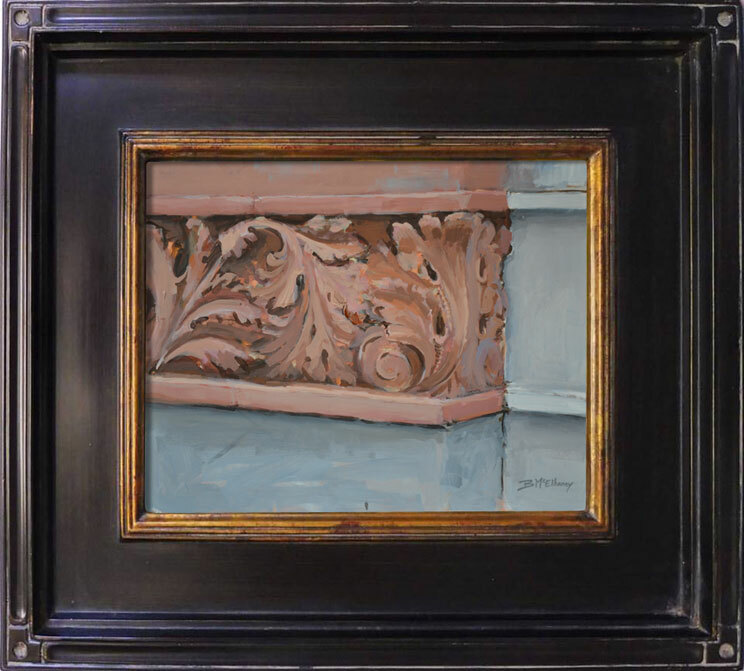 Classic plein air style flat-panel molding with craftsman corner ornament. Espresso black with antique gold liner. 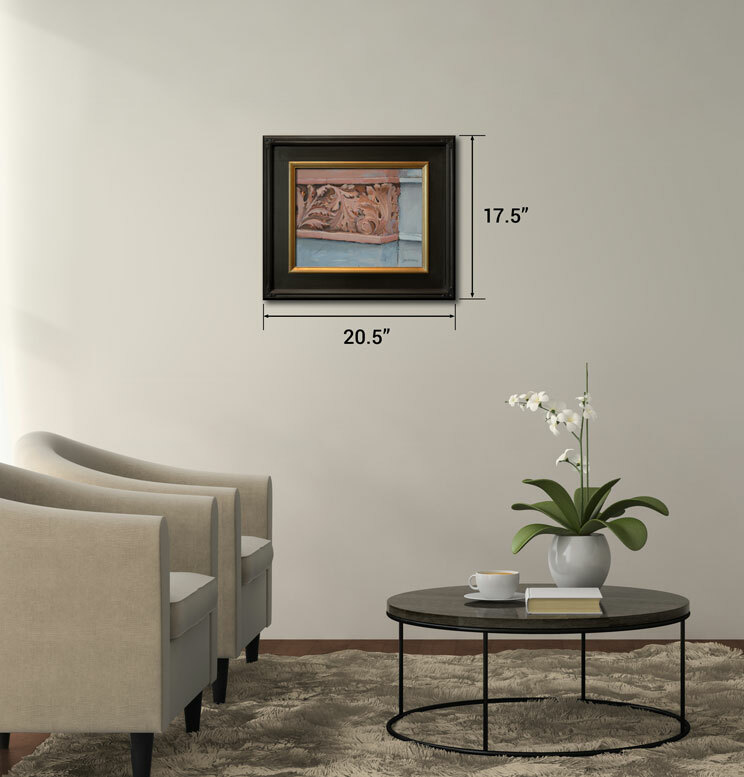 Framed dimensions 17.5 x 20.5 in.